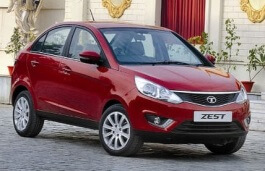 Correct Wheel Sizes, PCD, Offset, Rims and Tire specs for Tata Zest series. Can I upgrade my Tata zest tyres and rims from 185/60r15 to 215/40r17. It gives error of 0.36. Is that OK.
Hi,Harsh prakash suman,Yes.it can fit for. Sir, Details for zest are not uploaded to wheel calculator, please update it when possible.